Bastyr graduates Vickie Summerquist MS EAMP, LMP and Roxane Geller MS EAMP, LMP started Union Center For Healing to provide acupuncture, Chinese herbal medicine, nutritional and lifestyle counseling, massage therapy and other healing modalities. The providers work with patients to restore balance in their lives; whether the imbalance is due to a physical, emotional or spiritual concern. Our practitioners provide collaborative care so that you may benefit from a team approach. 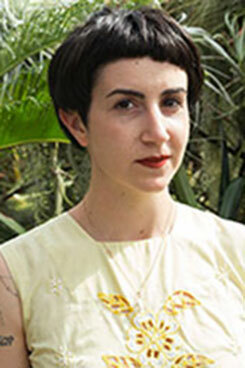 Roxane Geller, EAMP, LMP (She/Her) completed her MS in Acupuncture and Herbal medicine at Bastyr University in 2001. She is a licensed massage therapist and is nationally certified by the NCCAOM. Roxane interned at the women’s health and maternity ward at Conmaul Hospital in Seoul, Korea and studied Chinese herbology in gynecology and internal medicine at Shanghai TCM University and Hospital. She has studied native shamanic healing with Char Sundust and completed a mentoring program with energy intuitive Marie Manuchehri. Roxane’s interests are in women’s and maternal health , emotional and mental health, chronic pain and illness, and spiritual growth and development. Through her own pursuit of spiritual inquiry, she is deeply interested in engaging with others in a way that will impact their unfolding. In her sessions she uses evolutionary medicine to restoring balance of the physical, emotional and spiritual. As a mother of two, she enjoys helping other women tend to their whole selves so they can create a fertile environment in which to welcome a child. She is also passionate in working with people who are struggling with chronic illness such as Epstein Barr, Chronic Fatigue, MS, etc. Maternity Acupuncture Association. 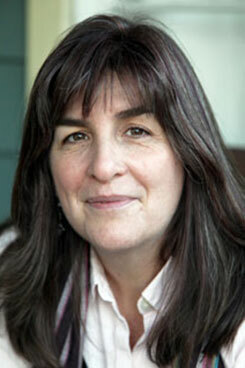 Roxane co-owns Union Center for Healing in Seattle, Washington. Roxane offers 60 minute energy healing sessions or 90 minutes included with acupuncture. Contact her directly for more information or to book an appointment. Vickie (She/Her) is a cofounder of Union Center for Healing. She is a Northwest native and is grateful to call the Central District her home. She completed her MS in Acupuncture and Herbal medicine at Bastyr University in 2001. She is certified in several specialties including pediatric acupuncture, cosmetic acupuncture, 5 element clinical integration, Mercier therapy and more. 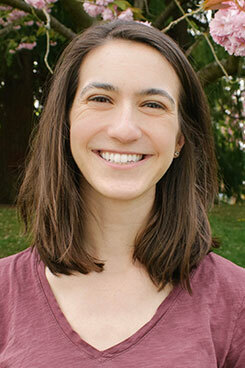 In 2016, she completed her MPH at the University of Washington with an emphasis in Health Systems and Policy. Vickie treats a variety of disorders in her practice with a special emphasis on anti-aging, chronic pain, pelvic health, depression and anxiety. She has extensive knowledge in the effects of trauma on adults and children and understands how systems can impact individual health. A treatment with Vickie may bring relief to a chronic illness, restore vitality or be the first step to a deep transformation. 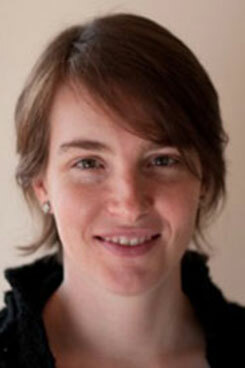 Kate Chilson (She/Her) received an MS in Acupuncture from the Northwest Institute of Oriental Medicine in 2003. She has trained in Chinese and Japanese acupuncture, biodynamic craniosacral therapy, Acutonics® sound therapy, and holds a certificate in massage therapy. Kate is nationally certified by the NCCAOM. She received a BS degree in Biology from Oberlin College, and has research cancer treatment at the Fred Hutchinson Center for 8 years. Kate has over 9 years of clinical experience as an acupuncturist: she has maintained a private practice, worked at Gracewinds Perinatal Clinic supporting women through pregnancy and post-partum, and held internships in which she worked with elderly and chronically fatigued clients. Most recently, Kate completed training in acupuncture for sports injuries and performance, learning to assess the orthopedic structure of the body and precisely treat the muscles and fascia. She utilizes all her training to approach healing from an integrated perspective. Kate enjoys helping people with a variety of health concerns, in particular acute and chronic pain, stress, fatigue, gynecologic concerns and cancer. Her treatments are excellent for helping people feel more comfortable in their bodies and for giving them tools they can use to take good care of themselves. She is honored to support her clients’ processes of physical, emotional, and mental change. Kate’s acupuncture and craniosacral sessions strengthen the inherent wisdom of her clients’ bodies. Through awareness, unwinding and being still, her clients find that their bodies remember how to be balanced and full of vitality. 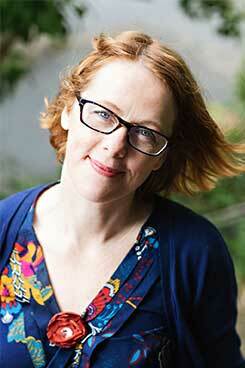 Kate excels at listening attentively with her hands and helping her clients drop into a state of deep relaxation. She is an avid student of health, regularly practices meditation, yoga, and nutritious cooking, and enjoys sharing what she’s learned with her clients. 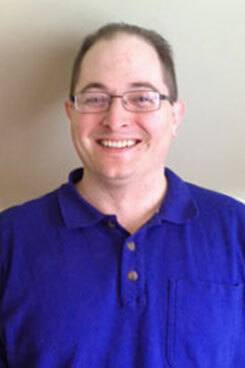 Brad Darr, LMP (He/Him), graduated from Cortiva Institute Seattle. Trained in various massage modalities he most often utilizes Myofascial techniques to help promote normal movement of muscles and break up adhesions in the connective tissue. He offers a client centered approach aimed at creating space, allowing the body to return to balance and promote healing. He hopes to foster increased body awareness as a path to better overall health and well being. She shapes each session to meet her client’s needs, offering a combination of Deep Tissue, Swedish, and Sports massage. 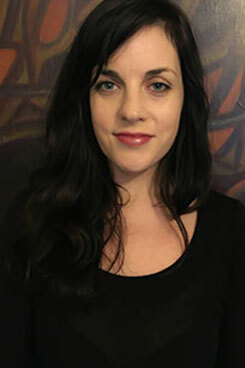 Her training in Arvigo Techniques of Mayan Abdominal Massage addresses women’s reproductive issues, as well as urinary and digestive issues for both men and women. She has found practicing the Arvigo Techniques of Mayan Abdominal Massage provides her clients with the space to move more deeply into self-care. She has a passion for teaching her clients how to develop a greater awareness and presence within their bodies. She believes we all have the ability to be our own healers and she enjoys helping to facilitate the healing process. 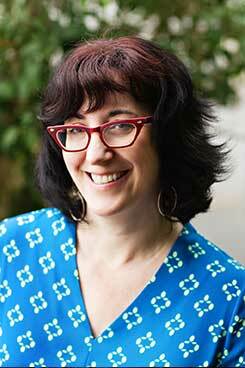 Lily (She/Her) MA60689784 is a graduate from the Cortiva Institute in Seattle as well as a certified Lymphatic Drainage practitioner and Reiki II attuned. With a background in vibrational medicine, her foundational belief that your own healing is a powerful contribution to the healing of everyone led her to pursue a career in bodywork. With foundational training in Swedish and Myofascial modalities as well as acupressure, manual lymphatic drainage, cupping, energy work, and the direct application of crystal grids to aid and amplify the healing process, her work largely focuses on the integration of highly individualized, educational, and relaxing sessions while providing effective and result-driven treatment. She is devoted to providing the most comfortable space as possible for all clients, including serving her queer (LGBTQIA) community at large, and she brings her belief in the importance of trauma-informed care to each session. 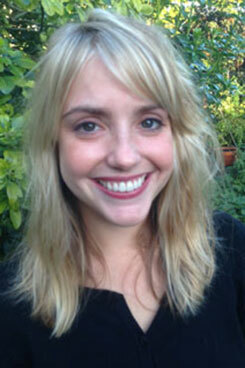 Rebekah (Bekah) Kreckman is a licensed massage therapist and a graduate of Seattle’s Discovery Point School of Massage. She works interactively using thoughtful, therapeutic touch to support her clients in finding easeful, strong, and joyful movement in their bodies. Bekah’s specific intent is to recognize and enhance the capability of individuals to create their own relief from pain and find remedies that work for them. As such, she honors clients’ willingness to search for and try different techniques that serve them, and she utilizes both relaxation and treatment massage to facilitate this process. Bekah is especially drawn to working with athletes recovering from injury, clients with chronic pain (including fibromyalgia), and those with neck and shoulder tension. Bekah brings her knowledge of and fascination with the human body along with patience and encouragement to her clients. When she’s not giving massages, Bekah works as a consultant, helping to develop and implement strategies and programs domestically and abroad to improve public health and address inequities. She values the pairing of the practitioner perspective with the scaled approach to solving problems. She loves questions and will do her best to answer all of yours. 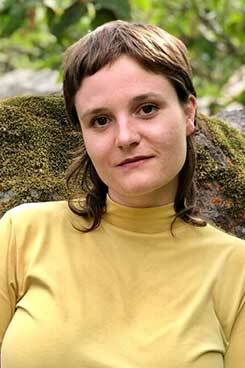 Robin (She/Her) is a licensed acupuncturist and herbalist in both California and Washington State. Bringing a diverse range of interests and experience to her practice, Robin comes with a background in anthropology, body kinetics, and biomedicine, all which inform her practice. Her specific interest and intent with Chinese medicine is to create space and capacity within each patient so they can reach their full potential and live the life they envision. Robin was particularly moved by working under the renowned fertility practitioner LiFang Liang in San Francisco’s Chinatown, and looks forward to continuing this powerful thread of Chinese medicine. Her other focuses include the role of the endocrine system in overall well being, emotional and mental health, sleep disorders, and gastrointestinal distress. Dermatology is also an interest of hers, and is certified in Mei Zen facial rejuvenation acupuncture. Robin has found avenues within TCM to combine with her deep interests in ethnobotany, community health, and social justice. Robin started one of the few Spanish-speaking community acupuncture clinics in a health center for San Francisco’s Hispanic population, El Instituto Familiar de la Raza. She has also spent the last five years working for an NGO in Oaxaca, Mexico that responds to the lack of healthcare in highly marginalized areas by revitalizing traditional plant medicine. Passionate about creating sustainability within these communities, she also works as the director of Mexico for Crooked Trails, a sustainable travel organization that brings socially and environmentally responsible travel to the mountains of Oaxaca. Dylan (She/Her) is a licensed acupuncturist who received her MS in Acupuncture and Chinese Medicine from Bastyr University. As a part of her education she's also certified in facial rejuvenation acupuncture as well as electro acupuncture. Within her licensure she is trained in cupping, gua sha, and cranial sacral therapy. Dylan has a deep relationship with herbal medicine and is an experienced Western herbalist in addition to her Chinese herbal knowledge. She especially enjoys herbal consultations and educating her patients about herbs for self care outside of the treatment room. Dylan focuses on restoring balance in the system and treating the root cause for effective treatments. Her treatments can quell a variety of concerns including psycho-emotional ailments, chronic pain, hormonal support, fatigue, & more. It is very important to her to provide inclusive and educated healthcare for the queer, trans, and gender non-conforming community. As a practitioner, she commits herself to a wellness style that is non-judgemental, open, ever-growing and adaptable. Dawn (She/Her) brings her skill, wisdom and a deep level of compassion to each session. She promotes an environment of relaxation and deeper levels of awareness for her clients, enabling them to make both subtle and profound shifts. Dawn is a certified Reiki Master and uses her intuitive ability along with Reiki and other healing techniques to create an optimal healing experience.